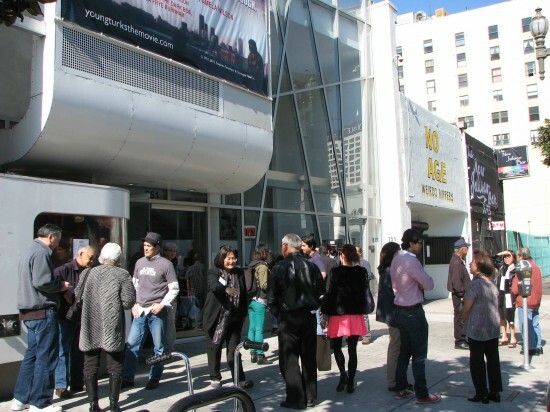 “Lil Tokyo Reporter” made its Los Angeles debut on Feb. 23 at the newly renovated Downtown Independent (formerly the Linda Lea Theater, a showcase for Japanese cinema) on Main Street, adjacent to Little Tokyo. A project of the Little Tokyo Historical Society, the film was previously screened last year in Pasadena and Huntington Beach. Left: Chris Tashima stars as Sei Fujii, an advocate for the Japanese American community and publisher of The Kashu Mainichi. Right: Director Jeffrey Gee Chin with Ikuma Ando, who plays the bad guy, Yamada. Set in the 1930s, the film depicts a confrontation between Fujii and Yamada, a nightclub owner who brings a criminal element into Little Tokyo. 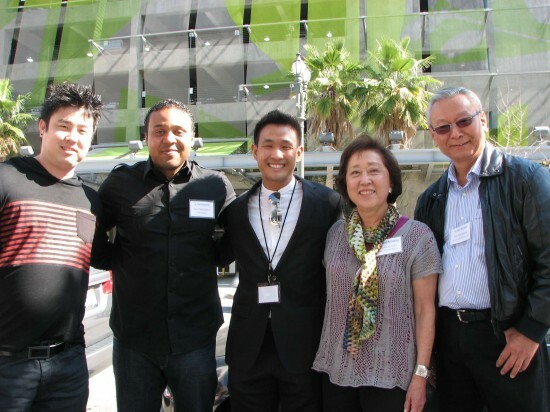 From left: Michael Iinuma, producer; Mayon Denton, producer; Jeffrey Gee Chin, director; Fumiko Carole Fujita, executive producer; Bill Watanabe of the Little Tokyo Historical Society. From left: Derek Werthwein, Michelle Sugihara, Marcus Mizushima and Karen Chu, associate producers; Yukio Kawaratani, who appears in the film. 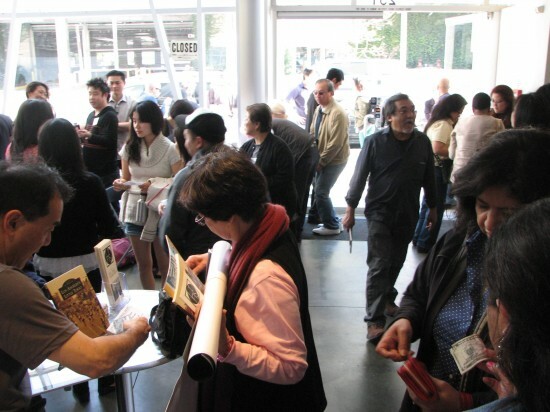 A reception in the theater lobby included book sales and displays on the history of Little Tokyo.